The right replacement windows in your home will provide the perfect frame for a picturesque view outside. From upgrading your window frames to repairing broken glass, nearly any type of window care and repair will improve the situation. Modernize is here to help if it's time to replace your windows and you need replacement windows in Fort Worth, TX. Speaking with local window professionals will help you find the best solution for your individual home renovation needs. We are proud of what we do. We want to connect our homeowners to the best local window contractors in a quick and easy process. Find trusted local window installers today! Get free quotes from the best window replacement contractors in Fort Worth, TX, ready to complete your project. We are a privately held company in Richland Hills, TX proudly… More	We are a privately held company in Richland Hills, TX proudly doing business for 60 years. Buying new windows for your home in Fort Worth is a smart move. Energy efficient windows will increase the value of your home and decrease your monthly heating and cooling costs. Even so, you only need to replace your windows if they are over 15 years old, if they are no longer operating properly, or if you are starting to notice moisture between the panes. Since new windows are a significant financial investment, you will want to thoroughly research your options before making a purchase. Because windows are meant to protect your home from inclement weather and the changing temperatures, it is important that you find windows that will perform well in Fort Worth’s climate. In addition to finding energy efficient windows, there are also permit and licensing regulations put in place by the City of Fort Worth to take into consideration. Before considering the climate and city regulations unique to the City of Fort Worth, it is important to have a basic understanding of replacement windows. In most situations, replacement windows will work great in place of old, worn out windows. This is because replacement windows are custom built, sized to fit exactly in the space left behind by old windows. If you are building a new home or doing a major remodeling of your home, new construction windows may be the more appropriate choice since these windows are designed to be secured directly to exposed frames and studs in your home. After you have chosen between new construction or replacement windows, next you will need determine how you would like your new windows to operate in your home. One of the most popular windows for residential homes is the double hung window. This window is fully operational, with two vertically hung sashes that slide up or down to bring fresh air into the home. Picture and arched windows are also very popular since they are available in a wide range of sizes and shapes and add natural light to any room. Because most window brands offer window frames made from vinyl, wood, aluminum, or fiberglass, and each are available in multiple colors and finishes, it is easy to find a window that is a perfect fit with the decor in your home. Multiple hardware finish options and glass grid designs offer the opportunities for further customization. If you have the skills and knowledge needed to replace your own windows, you are permitted to do so by the City of Fort Worth as long as you acquire to proper permit from the Department of Development & Planning. Before applying for your permit, you will need to complete a set of plans for the improvements being made to your home. Otherwise, if you plan to hire a contractor, they will be responsible for purchasing a permit for the work being done. It is important that you hire someone who has the license and insurance that is required by the state. In Texas, contractors can obtain a general builder’s license through the State of Texas Department of Housing & Community Affairs. If you plan to hire a contractor, make sure you hire someone who is properly licensed and insured. Any contractor in Texas can apply for a general builder’s license through the state of Texas Department of Housing & Community Affairs. If you contractor has employees working for them, they will also need to have workers’ compensation insurance to cover the cost of medical bills or time if one of their employees is hurt while installing windows in your home. Unfortunately, the federal tax credits for installing energy efficient windows in the home expired in 2014. Whenever possible, it is best to save up and pay cash for major home improvements. If paying cash isn’t possible, you can also apply for a zero interest credit or a home equity line of credit. Since the price of replacement windows varies significantly depending on the window brand, the materials used to build the window, and the size and style of window, it can be difficult to budget for new windows. When you draft your budget, you can plan to spend between $450 and $600 for vinyl replacement windows and $800 and $1000 for wood replacement windows. 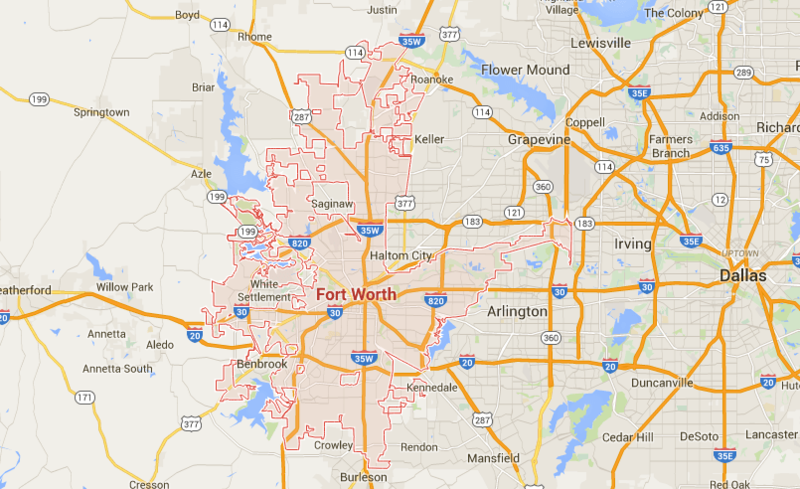 The City of Fort Worth is located in the South-Central Climate Zone as indicated by ENERGY STAR® guidelines. This region is known for exceptionally warm and humid summers and mild winters. Homeowners living in this region can expect to rely heavily on both their heating and cooling systems to keep their home comfortable during the summer and winter seasons. Windows designed for the climate in Fort Worth will be energy efficient, able to perform well in hot summers and cold winters. The simplest way to determine if a window will perform well in the climate where you live is by inspecting the National Fenestration Ratings Council label that is located on all new windows. For windows being installed in homes in the South-Central Climate Zone, there are two ratings that should influence your window purchasing decisions. The first, the U-Factor rating, which represents the amount of the heat that is allowed to pass through the window. ENERGY STAR® requires that all replacement windows installed in Fort Worth homes must have a U-Factor of no more 0.30. The second rating, the Solar Heat Gain Coefficient, represents how much solar radiation can heat the home after passing through the window. Since Fort Worth is typically hot during the summer, ENERGY STAR® requires all newly installed replacement windows to have a Solar Heat Gain Coefficient of no more than 0.25. Lastly, since the climate in Fort Worth is humid, be sure to inquire about the condensation resistance rating of the windows you plan to buy. This number, rated from 0 to 100, represents how resistant a replacement window is to excess moisture in the air. It is true that replacing the windows in your home is a big investment, but it is one that can save you money over time by reducing your utility costs and increasing the resale value of your home. According to ENERGY STAR®, homeowners who have installed windows that are compliant with their guidelines can expect to save as much as $266 in utility costs each year. Fort Worth homeowners can also expect a 70% return-on-investment if they choose to sell their home. Investing in energy efficient windows is also a great way to living a greener lifestyle by reducing your use of non renewable energy sources for heating and cooling your home.